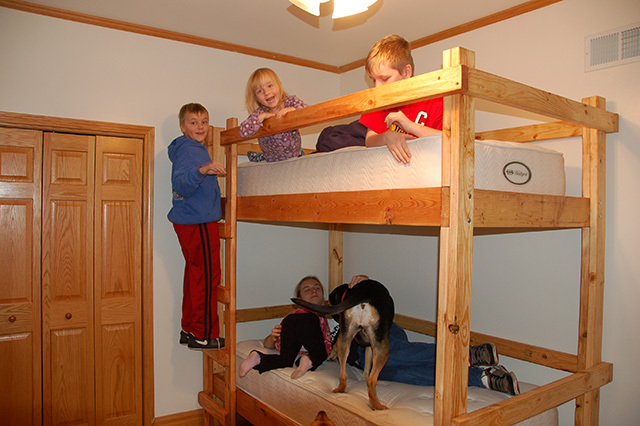 The twins were outgrowing their room, and needed a bigger spot, so we played musical chairs with the kids and the bedrooms, and the two boys ended up with a slightly smaller living space. 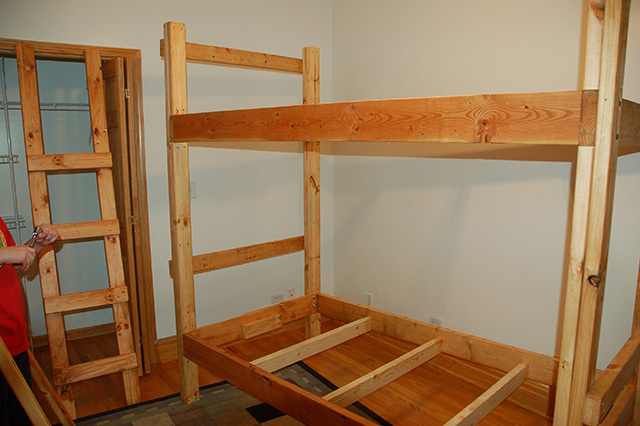 To make up for this, I built a set of bunk beds. But knowing how kids are, I wanted them strong, so they could play on them without any issues. 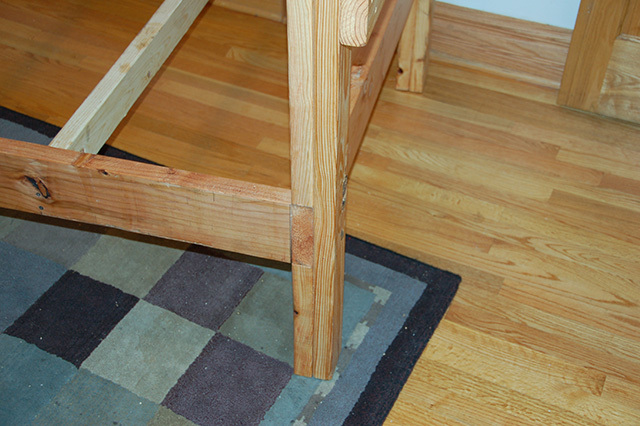 I ended up making a frame out of 2"X6", and used 2"X4"s as slats to support the mattress. The end pieces are 2"X4"s assembled like king / jack studs would be in framing. 2 1/2" stainless steel screws were used to hold it all together. The matress supports are bolted to the ends with half inch lag bolts. I used a piece of 1/2" plywood under the matress. The entire frame comes apart as 4 main pieces, plus 1 side rail on the bottom, 2 side rails on the top, and the ladder. So far, the bed has held up for close to 10 years now. I plan on making another set for my girls soon, and will be making a few minor changes, but overall I've been very happy with how it came out.